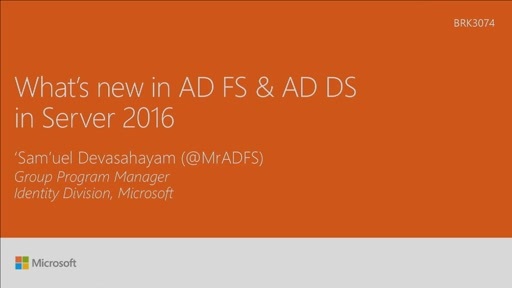 Active Directory Federation Services (ADFS) continues to transform and modernize the enterprise for connecting to cloud services (Azure AD/Office 365) and newer applications and organizations. 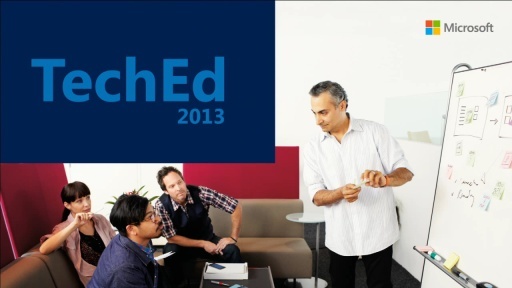 Come learn about the exciting new capabilities in the next release of Windows Server. We discuss and demonstrate many new features including support for authenticating users in LDAP v3 directories, protocol enhancements for OAuth/OpenID Connect, deployment enhancements, service administrator delegation, improved manageability and many more features targeted at customer problems today. 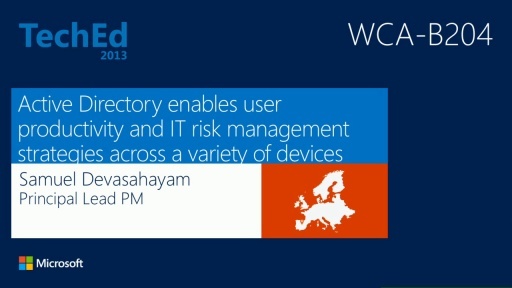 We also discuss security enhancements in Active Directory Domain Services to secure end user as well as administrative access. Good Info. Though content on TechNet is still trailing on Windows 2008/R2 and needs to catch up. Sam - Is there any common engineering design document that ties all these things (AD, ADFS, MDM, Workplace, non windows devices, etc.) together for 2012/R2 and eventually for 2016?